Since my husband and I moved to Lucerne, we’ve visited most of the popular mountains in central Switzerland. 1898 meters high Stanserhorn is the latest summit of this area we’ve conquered few weeks ago. Stanserhorn can be found in the canton Nidwalden and is one of many Swiss mountains that can be reached by public transport. A funicular railway and cable car from the town of Stans can take you all the way to the top. There is also plenty of hiking trails, but as I suffered from minor knee injury, we opted for easier option – public transport. Swiss Railways (SBB) offer plenty of discounted trip offers, including trip to Stanserhorn. Thanks to the additional 50% discount voucher we received from our local grocery store, we were able to bought super discounted tickets at the SBB counter at the Lucerne train station. Our trip began with 20 minutes train ride from Lucerne to Stans. In Stans we followed the signs to the valley station of Stanserhorn bahn. There we’ve boarded lovely historical funicular railway. The first section of the ascent took us from Stans town to the intermediate station at Kälti. While we were passing low pastures above the town, we were able to enjoy the lovely panoramic views. The higher we got, the better the views were. At Kälti we changed the railway for the cable car – cable car with open top deck. Despite the ride wasn’t much different from a ride with regular cable car, it was fun and interesting experience. After we’ve reached the top station at Stanserhorn, we strolled to the viewing platform and admired the spectacular views towards the Alps. Then we followed the trail to the highest point of the summit. On the way there there we stopped by the marmots enclosure. Those cute rodents were very active. We spent some time observing them digging holes and interacting with each other. They were such a cute creatures. After we had enough of hanging out with marmots, we continued our walk to the top of Stanserhorn. Again, we admired the panoramic views. Those in direction of the city of Lucerne, Lake Lucerne (Vierwaldstättersee) and the surrounding mountains impressed me the most. When we had enough of scenic views, we returned to the cable car station. We wanted to grab something to eat, but unfortunately we were too late to get warm lunch. Therefore, we’ve only exchanged the vouchers we received as part of SBB offer for drinks. Before we head back down to the valley we’ve chilled out at the wooden deck chairs at the restaurant terrace. 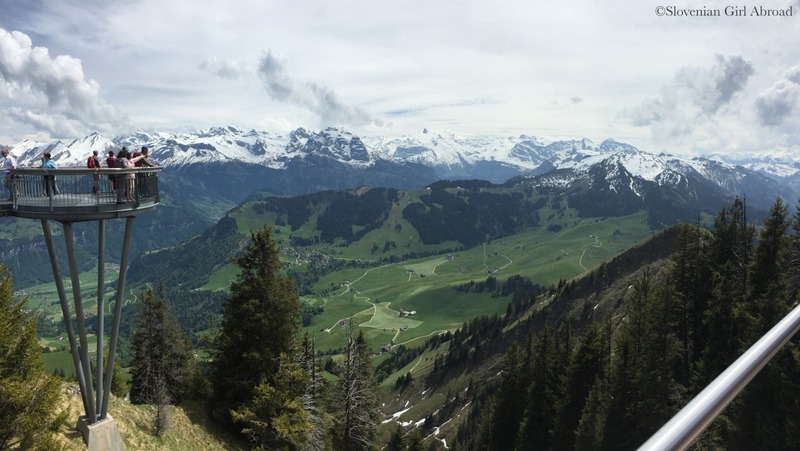 Trip to Stanserhorn is a nice day trip from Lucerne. It is not as high as Mount Pilatus, but the views from the top are no less spectacular. 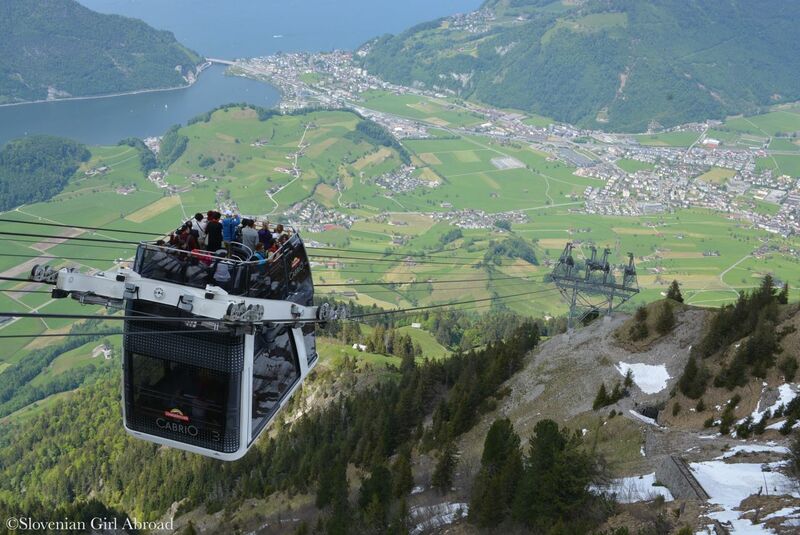 Also, the ride to the top is as scenic and exciting as the ride to more popular Pilatus or Rigi. If you ever find yourself in the Lucerne area, I would recommend visiting Stanserhorn. 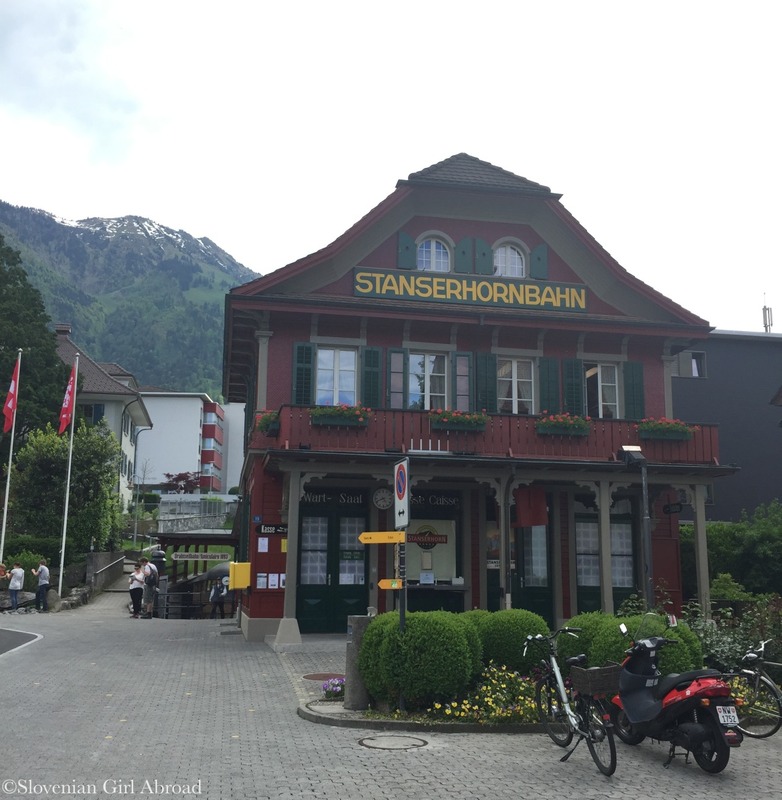 How to get to Stanserhorn? 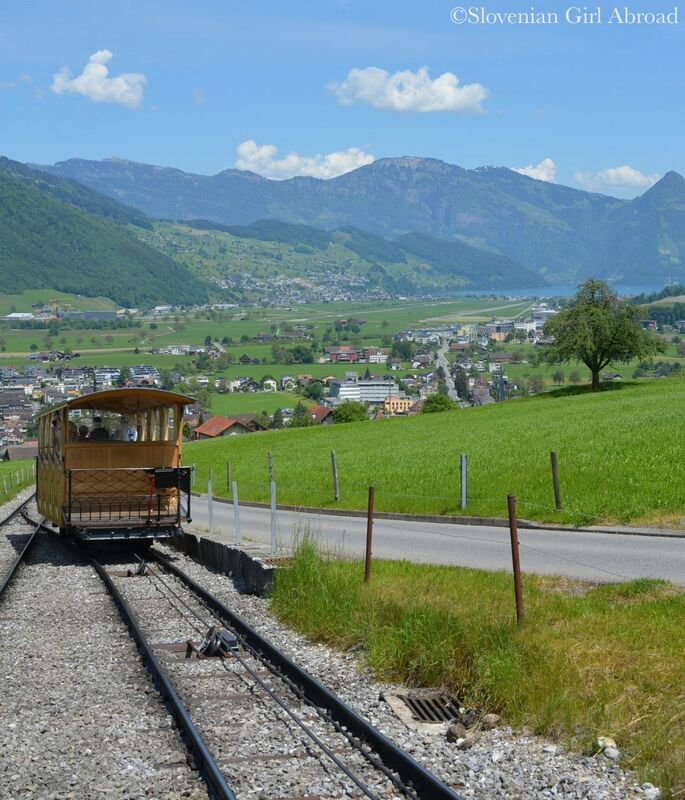 By train: Take the train from Lucerne to Stans, then follow the signs to the valley station Stanserhorn Bahn (cc. 5 minutes walk). By boat & train: Take the boat to Stansstad. From Stansstad you take the train to Stans. Follow the A2 motorway in the direction of Gotthard. Take the exit at Stans-Nord. Follow the directions to the town centre of Stans. The Stanserhorn station is on the right-hand side. 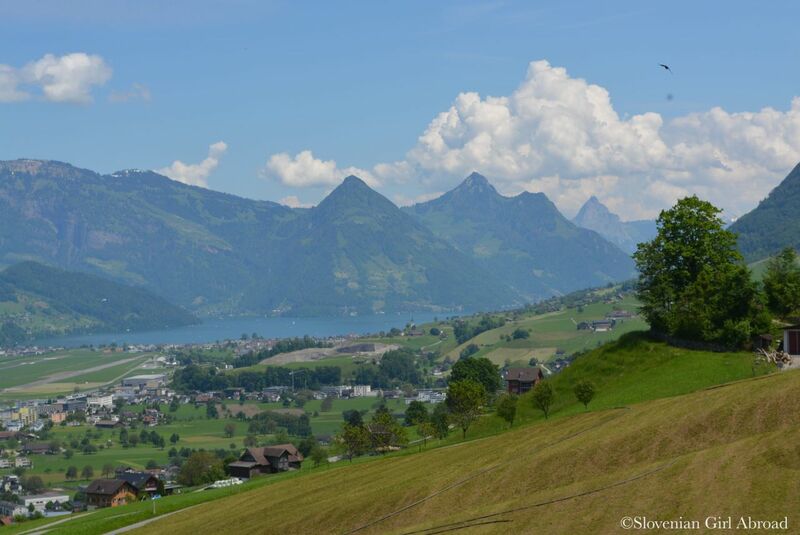 Aw, beautiful view of Lake Lucerne from a different angle. Ive never seen an open top cable car, must be nice to breath the fresh mountain air. Thank you the recommendation. You live in a paradise! Yes indeed! Especially if you consider the fact, they started to build some of those railways way back in the 19th and early 20th century. I have been to Lucerne 3 times but have not heard of Stanserhorn! Such a breathtaking place. I will definitely make it a point to go there if I am lucky enough to get the chance to go to Switzerland. Even the train station looks so damn good! Oh my gosh, amazing! Such beautiful photos. Drove through the Stans last October and noticed signs to the funicular, but due to low clouds and rain, the visit was not an option. Oh yes, it wouldn’t make sense going up there in cloudy and rainy weather. You would miss the most impressive feature of this trip – the views. Stanserhorn is so beautiful! I went to Switzerland many years ago as a kid and I’ve been wanting to take my own kid there as well. Thank you for sharing, your photos are amazing! beautiful views and looks like wonderful transport options! Urska, you know Switzerland better than I do as a Swiss! What a adventures cable car going up to the Stanserhorn! I have to do that next time with my South African partner, George! He will be excited! Oooh that’s a good point! I will return one day!! Oh yes, the views from Stanserhorn are amazing. 🙂 I’m not sure if Stanserhorn is open during the winter. I would have to check if it is. Oh what a stunning place to visit! 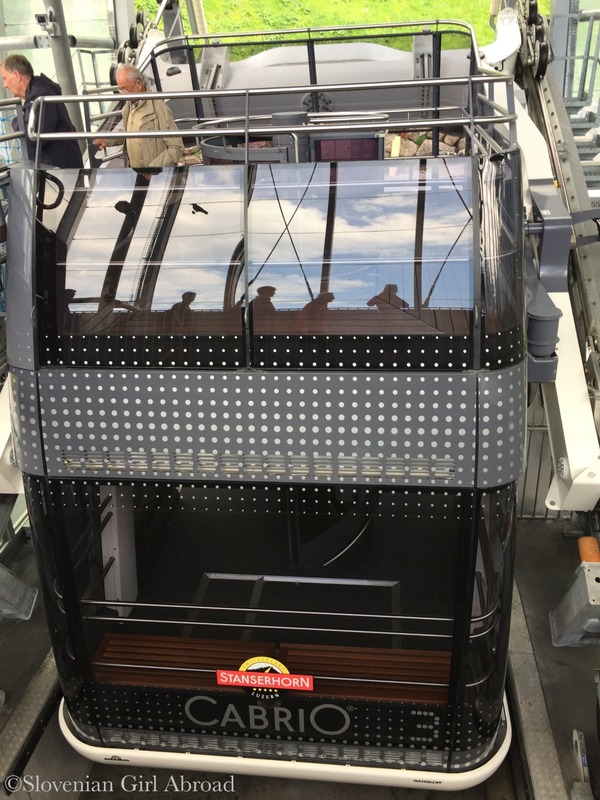 I think the funicular looks like an amazing way to travel too – I have been hunting out the UK ones to visit, actually. Looks Great!! Really love this region and the extended mountains. I’ve had a few trips out here in the past and this makes me want to go back. Thanks for the share! Another wonderful post and adventure full of great scenery and experiences. We’re in the process of moving house this summer so are a little tied to that but next summer we are planning a European roadtrip and Switzerland in hopefully part of the agenda, so I’ll be asking for your top places to see. 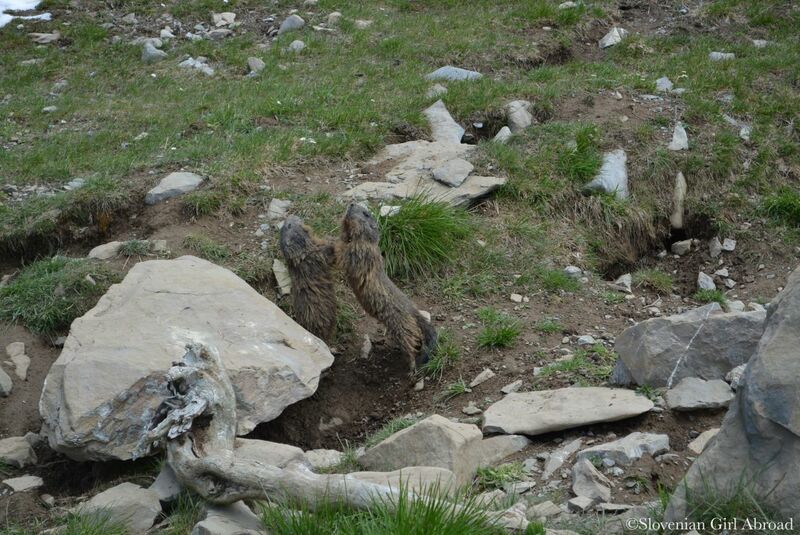 Ps: I love the photo of the Marmots fighting haha. Thanks for joining us on #adventurecalling . We open for new posts again tomorrow morning.